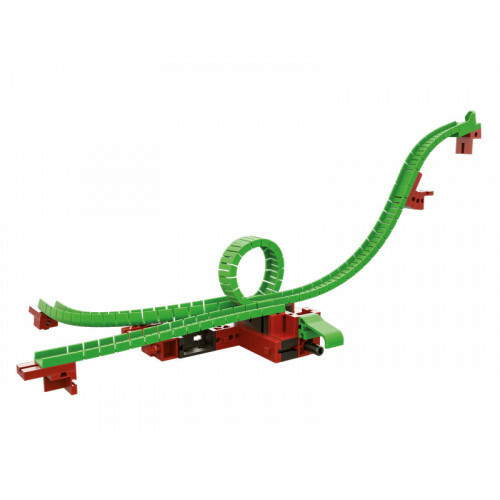 With the expansion set Looping, a loop point can be built, with the guidance of building instructions, and creatively integrated into many fischertechnik marble runs. With the mechanical track crossing, the route can be shifted so that the marbles either shoot through the loop or follow another route. 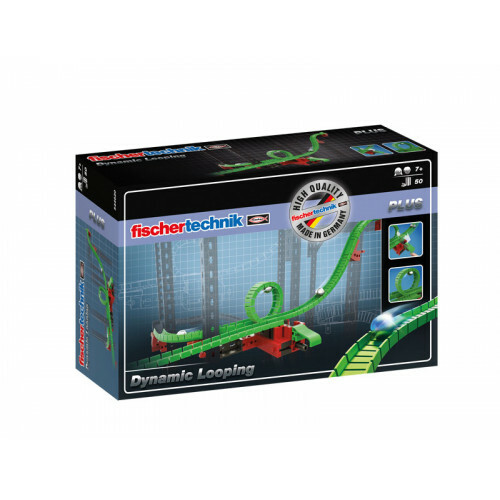 With this set, avid fischertechnik Dynamic fans can expand and enhance their own marble run with a new action element.